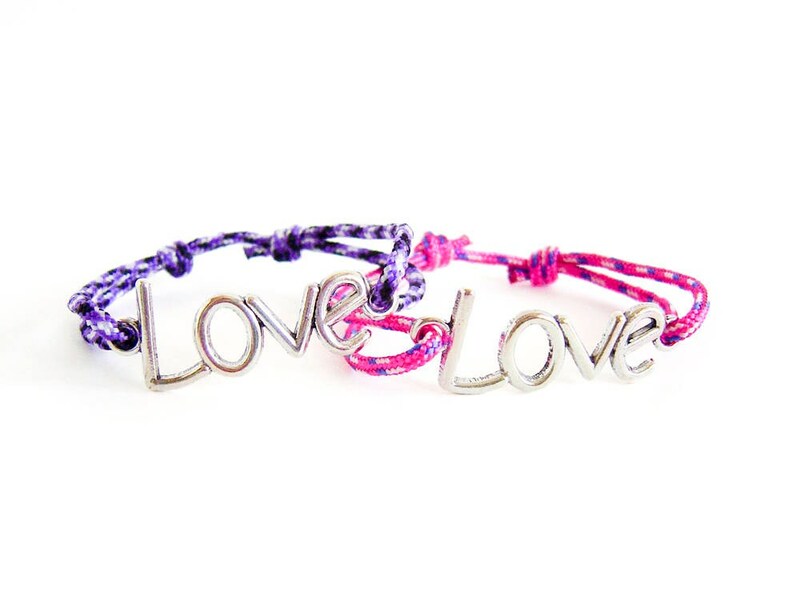 This love bracelet couples is nice for love bracelet men and women suitable. 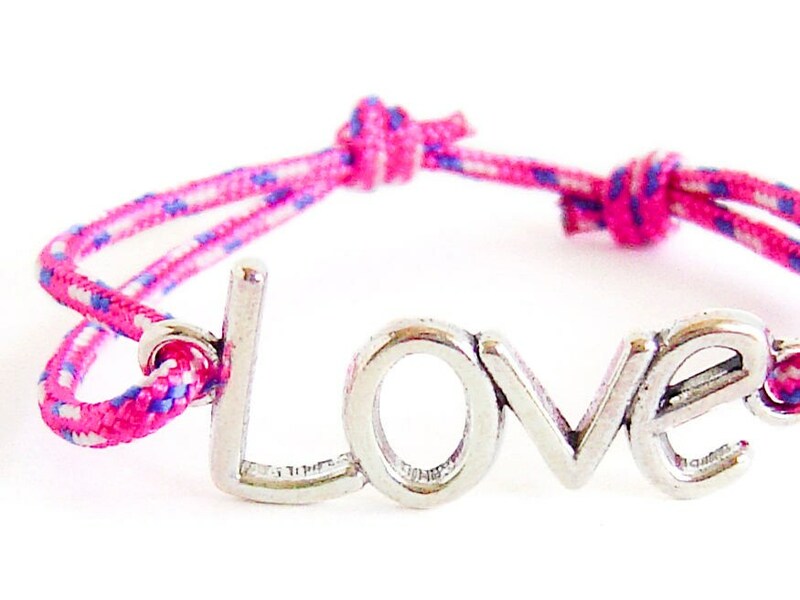 It can be used as love jewelry gift for a girlfriend or boyfriend. 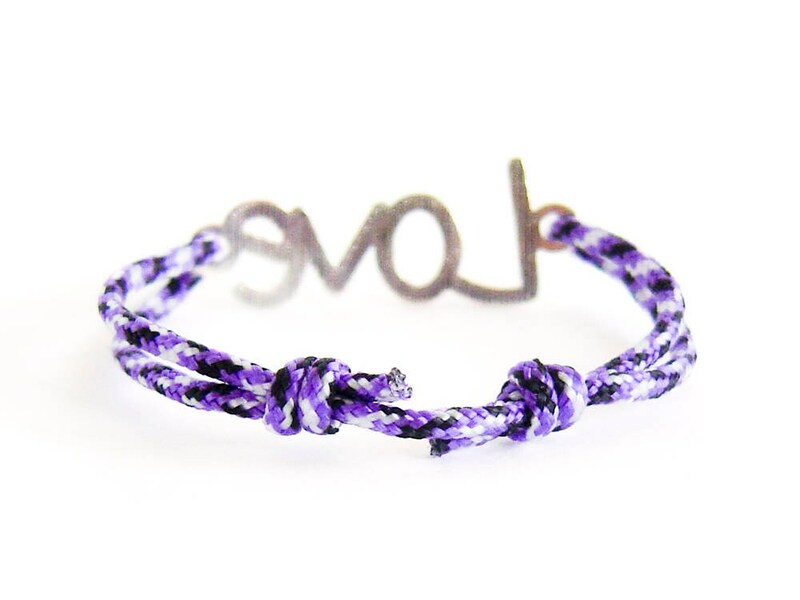 This bracelet can be used for couples bracelets set. 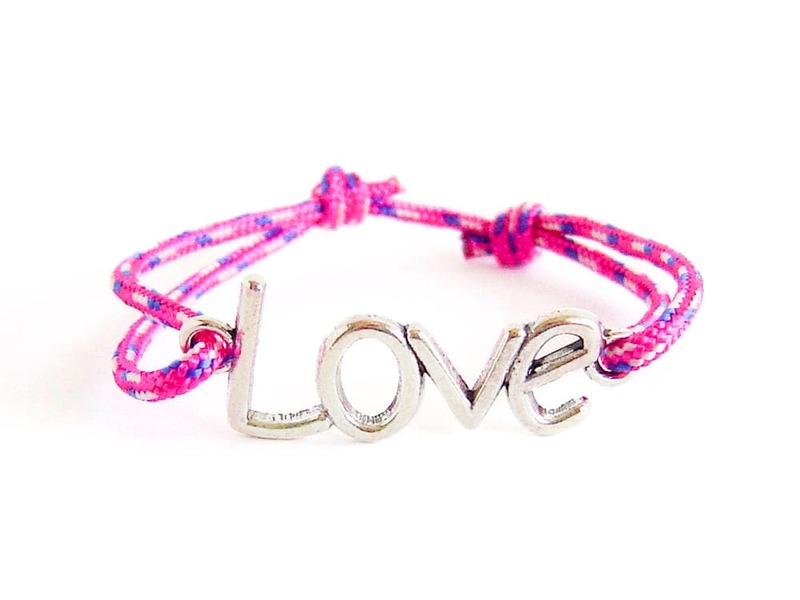 This love bracelet is created of tiny rope in pink and purple with a love charm and is adjustable and unisex. This price is for one eternity bracelet cuff. 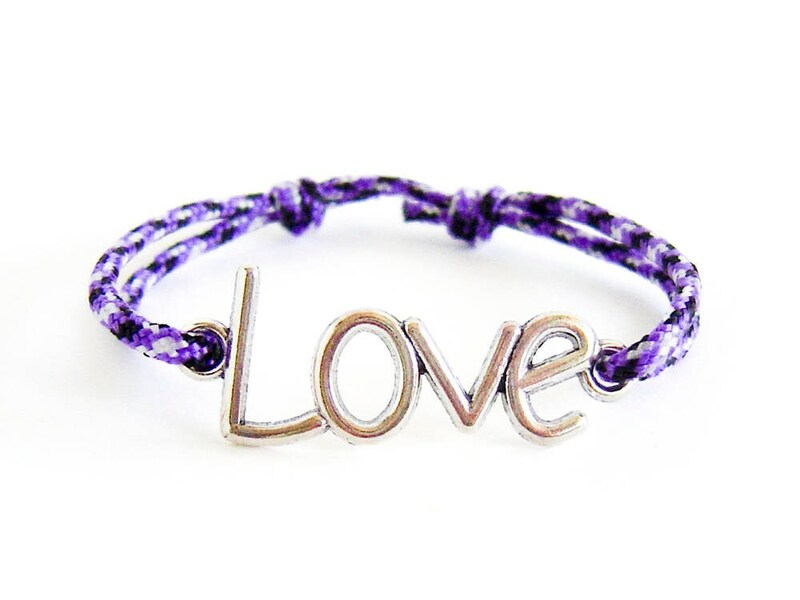 You can order this love bracelet men / women suitable gift wrapped. 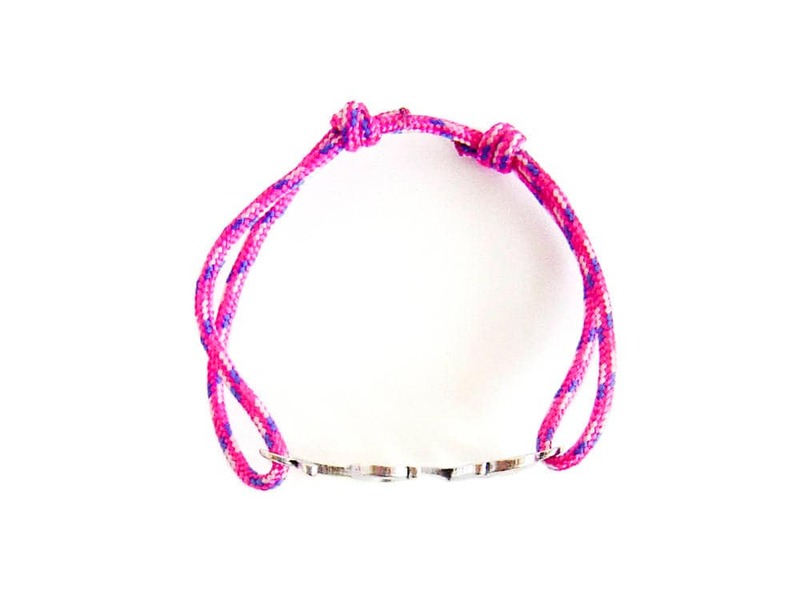 If is nice Valentines present idea for couples, OOAK in his and hers rope jewelry.